Contract Manufacturing - Mohawk Electrical Systems, Inc.
Mohawk Electrical Systems is a custom electrical manufacturer specializing in prototyping, simple and complex assemblies and other specifically designed electro-mechanical assemblies, cable harness and wire harness and other projects that we will work directly with engineers to create from the drawing board to production. Our machine shop is the tooling destination for custom components. 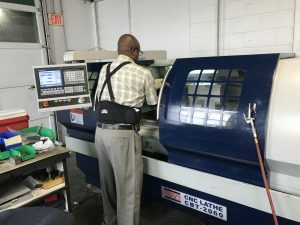 Working from specifications our CNC machinist main focus is on medium to high volume CNC machining operations including milling, drilling, reaming, broaching, tapping, etc. 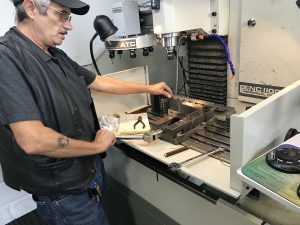 Our engineers and machinist design, build, and maintain CNC fixtures that allow us to process multiple parts each cycle to reduce overall cycle time by spreading tool changes across multiple parts. These fixtures are part specific and dedicated to your project. Have a project or prototype? To learn more about custom manufacturing, prototyping or CNC machining abilities, please email, info@mohawk-usa.com or call (302) 422 – 2500. Mohawk Electrical Systems is also the United States sole manufacturer of the Claymore Weapon System. View more of our capabilities and product lines under the related links.